As a legion of Steam Machines prepare to drag PC gaming into your living room, we’re starting to get a clearer glimpse at what the consolification of computing looks like—and as with standard PCs, it looks like “variety” is the name of the game. While iBuyPower’s Steam Machine sports AMD internals and the clean, sleek look of traditional consoles, an upcoming living-room PC by PiixL, a niche British manufacturer, hides from your eye completely. 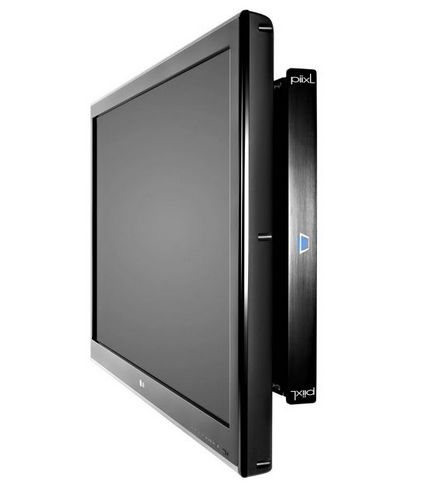 The “Jetpack” has been designed to be slapped on to the rear of your HDTV, being narrow enough to sit comfortably between your telly and a standard VESA wall mount. Details are scarce on PixxL’s website, but the company’s managing director told Pocket-Lint that Jetpack is an open and fully customizable “hardware platform” (read: PC) capable of running even beefy builds sporting overclocked Core i7 processors and Nvidia’s high-end GeForce GTX 780 and Titan graphics cards--despite its svelte frame. Potent, petite PCs are nothing new for PiixL; the company has been making media-focused computers that call the rear of TVs home for years. Earlier this year, its 2.5-inch thick “EdgeCenter PC” boasted configurations all the way up to an Intel Core i7 3770 CPU, a GTX 680 graphics card, and 16GB of RAM. Indeed, the Jetpack’s look and design appears to largely mirror the EdgeCenter line, only rebranded to take advantage of the Steam Machine hype wave. Actually, PiixL never actually calls the Jetpack a “Steam Machine” on its website or in its interview with Pocket-Lint: It simply says the living room PC is “SteamOS-optimized”—whatever that means—and will also be compatible with Windows or Linux. 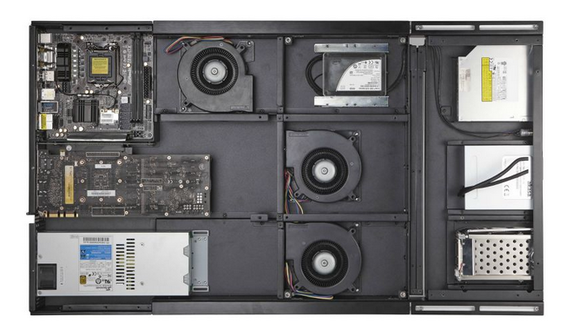 That suggests it might not be an official Steam Machine with Valve’s backing, similar to the itty-bitty Xi3 Piston. 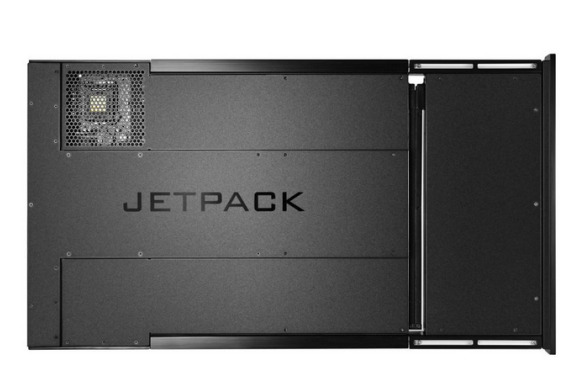 Look for the Jetpack to become available January 1, with prices starting around $1000 (or about twice as much as iBuyPower’s Steam Machine). Also note that Valve has yet to announce an official release date for its Linux-based SteamOS operating system, and that the company plans to unveil the full lineup of official Steam Machine manufacturing partners at CES 2014 in January. It’s an exciting time to be a gamer!